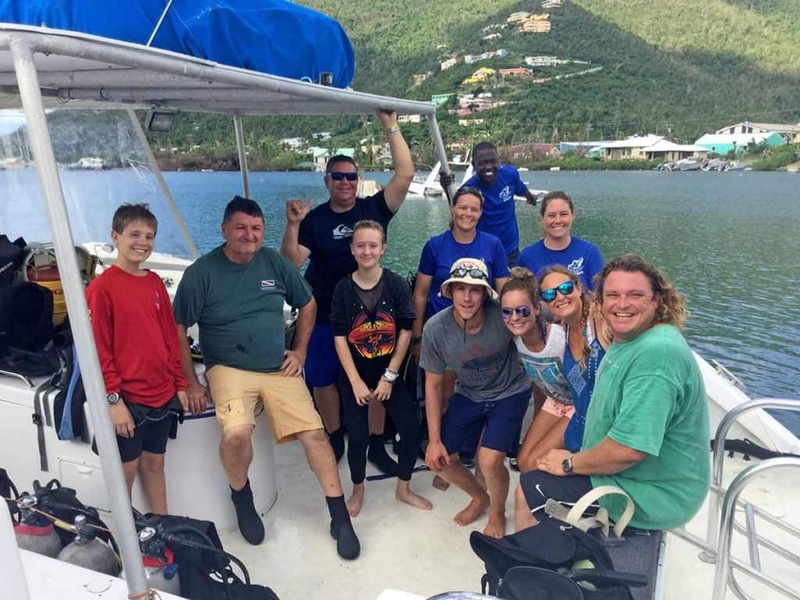 Here at Blue Water Divers, we have an outstanding team of professional dive instructors who will ensure that you enjoy a safe and fun diving experience! Our wonderful team have a zest for life and love what they do, so be sure to hit them up with any questions you have about the sea life you encounter, the reefs and wrecks you dive, and the islands you want to explore. We enjoy a large number of return guests, some who have been diving with us for 30+ years!! Because when you dive with Blue Water Divers, you’re more than just a guest! We offer a variety of services to help make your diving holiday as easy and enjoyable as possible. Contact us for Scuba & snorkeling equipment rentals, P.A.D.I. Scuba diving certification courses, diving packages, or visit us at our Nanny Cay location to purchases our wide variety of diving merchandise, clothing, and souvenirs! Please be sure to use our info@bluewaterdiversbvi.com email address. Due to technical problems, we are not able to access our bwdbvi@surfbvi.com at the moment.